Several years ago, hardly anyone knew what "gluten" and "gluten-free" meant. Most of us had never heard the word. I remember in 2007 going on a missions trip and a few members were bringing a lot of their own food due to celiac disease. Three or four years ago, my youngest sister started having a lot of digestive and health issues and cut gluten out of her diet and had some positive results. She makes the most divine bread rolls every Thanksgiving, yet she has never eaten them. 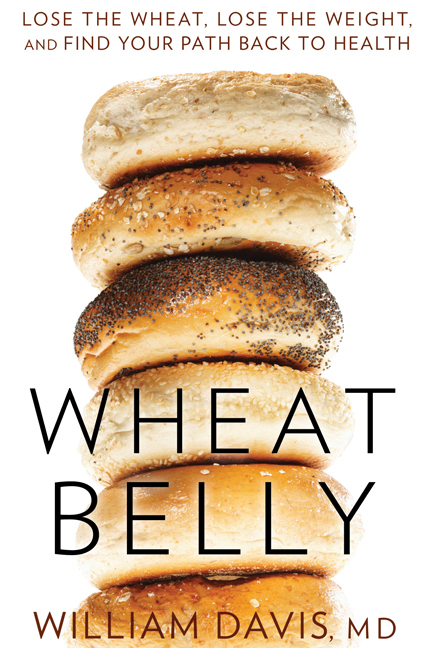 A few months ago I was talking to my chiropractor and he mentioned he was reading a book called Wheat Belly and how he had recently cut wheat out of his diet due to some health issues--and he's a pretty healthy guy to begin with. He said in one month of being wheat-free he had dropped several pounds and felt better than he had in months. I was intrigued and put a request in at my library for the book. The waiting list was super long, so I also requested the audio version. The audio version came available sooner and I started listening at the end of June on a 2-hour round trip drive. It was pretty interesting to hear about this heart doctor's experiences with his patients and the research he did on wheat and how it affects the body. The basic premise of the book is that the wheat crop has been changed and hybridized over thousands of years to make it more hearty and produce more for the entire world. What we eat as wheat, even if it's organic, is drastically different from the ancient crop. And our bodies don't necessarily fare well with how modern wheat affects us. According to the book, wheat effects every system in our bodies. And one of it's byproducts during digestion actually crosses the blood-brain barrier. I came across this awesome blog post that outlines some of the effects of wheat on our bodies. 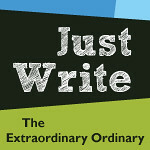 I'll summarize here, but check out the post for more details. Wheat creates exorphins--which are similar to endorphins and make us feel happy. Then we get grumpy when there are no more exorphins and we want more. So we get another piece of bread. Wheat is also an appetite stimulant. When you eat it, you want more. So you binge. All the carbs stimulate insulin, which shifts our bodies into fat storage. Quotes are from the above linked blog. "Brain fog, persistent fatigue and profound lethargy are common side effects of wheat consumption because of the wheat proteins that cross the blood-brain barrier." You don't have to have celiac disease to be sensitive to gluten. That's what the doctor determined with my sister. This is heavy: "Celiac disease and gluten sensitivity can damage the brain and nervous system, thus causing dementia, balance loss, migraines, peripheral neuropathy, ADHD and autism symptoms." Not only these things, but wheat raises your blood sugar more than regular table sugar. "That means wheat based products which constitute of huge part of a standard American diet are causing big swings in blood sugar and insulin levels. A big gush of insulin will cause blood sugar to drop quickly, which in turn produces a backlash of hypoglycemic symptoms - shakiness, nausea or headache." There's more, but those are some of the most outstanding things to me. I am NOT one prone to fad diets or saying "I'll never eat/drink that again." I believe in moderation and balance. And we all have vices. Like cupcakes and Diet Coke, right? I want to enjoy life and food is enjoyable to me. I run to have the release, but I also run so I can enjoy dessert. However, I was intrigued enough to do a wheat-free experiment. I started with 5 or 6 days. At times it was a little challenging. I enjoy a piece of toast with morning eggs, and I love Flat-Out wraps. We eat pasta and bread at least once a week for dinner and who doesn't love pizza? I tried reading labels and looking for added wheat but I wasn't ultra vigilant. My initial goal was better control of my appetite and perhaps making headway with the pesky 5-10lbs that I can't seem to lose no matter how much I run, exercise and count calories (the book addresses this issue too). I did notice that I didn't get as ravenous and seemed to be a little less tired. And maybe I was having fewer headaches also. I have been plagued with headaches my entire life. I remember being in first grade and getting terrible headaches causing me to need to lie down in a dark room. I have taken so much Advil in my life it's atrocious. In college I went to a neurologist and didn't find anything seriously wrong with me--I have a small mouth and I have TMJ and that is a source of tension for my head. My headaches are a combo of tension and migraines. After the first 5 or 6 days, I totally fell off the bandwagon for the weekend. I was going into a 2 day cleanse and as always binged before doing that. But the cleanse went well and after that I stayed relatively wheat-free. That second week it became clear that I was having way fewer headaches, and only took Advil once or twice instead of daily. And the mid-afternoon slump almost completely disappeared. Usually I want to lay down and take a nap every afternoon, no matter how much sleep I got the night before. But not having all the blood sugar rises and dips gave me more sustaining energy. This last week I did a few more experiments. I ate pasta and bread a few nights ago. And before I even left the dinner table I felt the particular type of pain in my head that signals an oncoming bad headache. Because I have had these headaches my entire life, I have learned to function pretty well with them. They've been almost daily. Going to the chiropractor regularly has helped, but they have still been an issue. One day last week was really busy and we were gone most of the day and I didn't have enough "good" food with me to eat. I ate chips and other junk and had a bad headache that night. I felt terrible. So, I guess I'm giving the gluten-free lifestyle a try. The other night the family ate Costco pizza and I wanted some so badly. Thankfully though, there are a lot of foods I enjoy that are gluten-free, so I don't have to miss out. Hello burrito bowls at Chipotle! I'm still navigating this for myself. Tonight I ate grilled ham & cheese on a corn tortilla. Not quite the same as toasty bread, but it worked. Ultimately, I'd like to cut back on the gluten my kids eat. I wonder if it would help Miss Rose's allergies and some minor skin issues she has. It would certainly keep their blood sugar more stable which could mean less behavior issues. My girls (like me) have always been sensitive to low blood sugar and lack of protein in their diet. I will say, the Wheat Belly book recommends limiting other foods and ingredients in your diet as well. I'm not quite there, and I don't know that I ever will be. I want to feel good and enjoy life. If not eating wheat helps me feel good, then that's enough for me. I like not feeling ravenous and I love having energy in the afternoon. I'm hoping that an occasional cupcake will still agree with me. The frosting is the most important part ot me anyways. And, at least I can still eat ice cream and chips & salsa. Edited to add: Here's another article, shorter than the previous one linked, that outlines major points from the book as well.